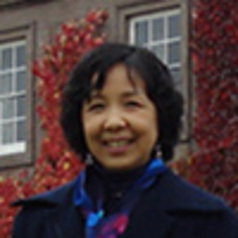 Janet Xuanli Liao is Senior Lecturer on International Relations and Energy security Studies, at the Centre for Energy, Petroleum and Mineral Law and Policy (CEPMLP) of the University of Dundee. She obtained a PhD in International Relations from the University of Hong Kong. She also held B.A. and M.A. in History from Peking University, China, and studied M.A. in International Relations at the International University of Japan. Her current research interests include think tanks and China’s foreign policy decision-making, China’s energy diplomacy (including China-Central Asia-Russia, China and Middle East, etc. ), the relationship between Chinese NOCs and the government, Sino-Japanese political/energy relations (including the East China Sea dispute), China’s climate change policy, and climate change governance. Dr Liao is the Director of the PhD Programme at the Graduate School of Natural Resources Law, Policy and Management. She teaches two modules for Masters’ students. One is on “International Relations and Energy and Natural Resources”, and the other is on “The Politics of Environment and Climate Change”. Dr Liao has been invited to deliver presentations at numerous conferences and workshops organized by government think tanks, International Organizations and academic institutions. She was invited as Visiting Professor at the International University of Japan in 2011, and served as a visiting researcher at the International Institute for Strategic Studies (London), the Institute of Energy Economics, Japan (Tokyo), and the Institute for Security & Development Policy (Sweden). She is also Honorary Professor at the China Institute of Boundary Studies, Wuhan University. Dr Liao’s current research interests include China's foreign policy decision-making, China’s energy diplomacy (including China-Central Asia-Russia, China and Middle East, etc. ), relationship between Chinese NOCs and the government, Sino-Japanese political/energy relations (including the East China Sea dispute), and China’s climate change policy and the global climate governance. Dr Liao is the team leader of the ESRC-DFID sponsored project on "Chinese National Oil Companies and the Economic Development of African Oil Producers." It is a joint-project between the CEPMLP team and the Open University team, together with partners from China and African states. The research project amounted for nearly one million pounds and will last for three years from June 2016. We have so far held a number of team meetings and field trips in China, an have organized an advisory expert meeting at the Dundee of Dundee in April 2016.